One of my very favorite children’s books is Maurice Sendak’s Chicken Soup with Rice. At one time I had the entire book memorized. Its verses were so comforting to me, just like a nice steaming bowl of chicken soup with rice!! 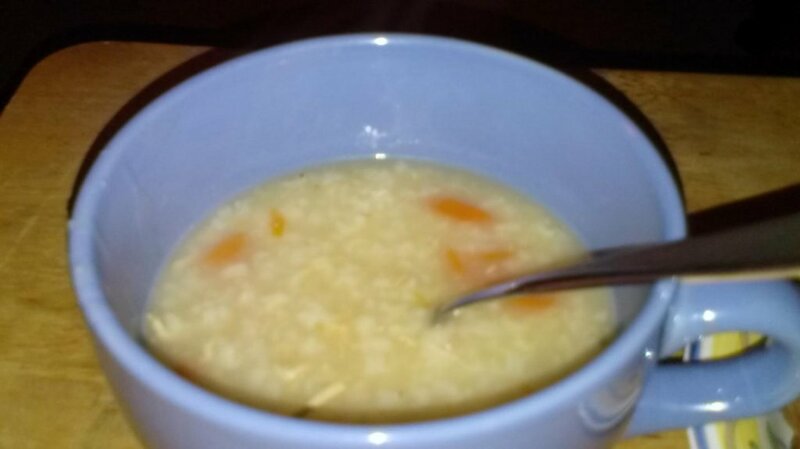 So, as you can guess, the recipe for today is for Chicken Soup with Rice!! The broth and chicken come from the poached chicken recipe I posted last week. The beauty of this recipe is that you don’t have to add a lot of herbs and seasonings since you already this when poaching the chicken. Thaw the frozen broth, then pour into a medium-large stockpot. Bring to a boil. Add carrots and rice. Reduce to simmer and continue to cook for 15 minutes. Add rice and chicken. Continue to cook for another 10 minutes or so, until rice and carrots are cooked through.